Hi! Good to be back and waste my money (again) to put out stuff that I love! Yea Its nothing but love here in Rizkan Records. 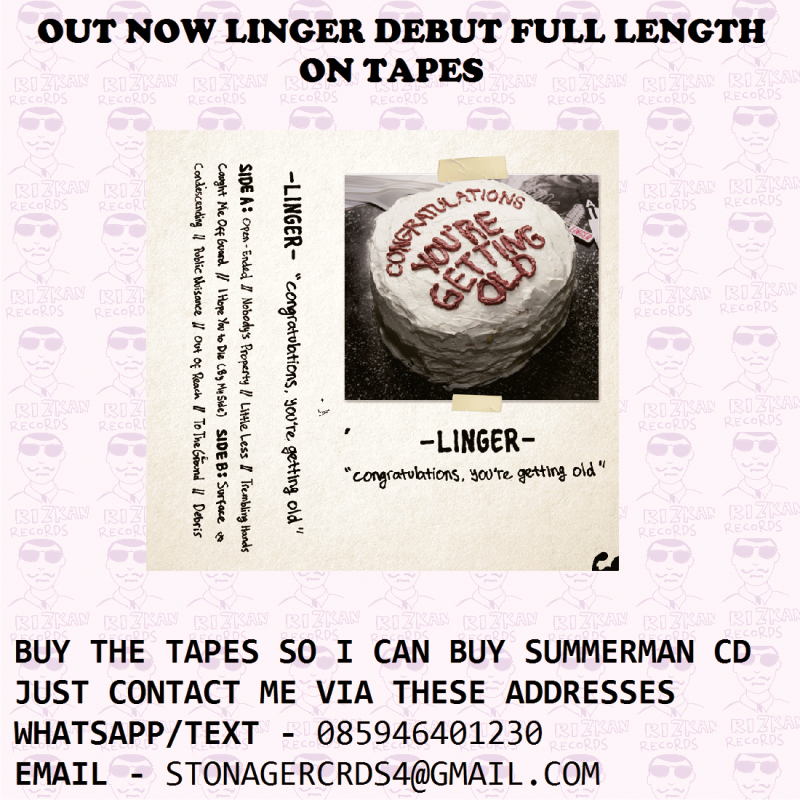 So yes we just done folding up the cover and ready to sell you the tape version of Linger debut album ‘Congratulations, You’re Getting Old’. Previously released digitally by Fallyears Records and this is too bad if none of us put it out on physical records, so here I go put it out on tapes! If you’re still unnoticed about Linger, Linger is a moniker solo project by Dandy Gilang of Write The Future. He’ll be more indierock and sloppier this time but good thing is he still write personal songs. Word spreading is critical for us as a small label and I hope any of you would kindly spread this up anywhere. Please let me know if you need the files digitally.